As many as 10% of Americans may suffer from a hernia at some point in their lives, accounting for more than one million hernia repairs annually. One of the most common surgical problems is hernia of the abdominal wall. 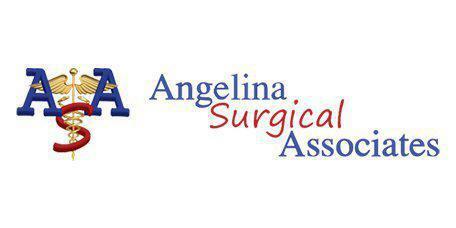 When you’re faced with the need for surgical hernia repair, the doctors of Angelina Surgical Associates in Lufkin, Texas have the experience and knowledge you can count on. Call today to schedule your consultation. When an organ pushes through the muscle or tissue that usually holds it in place, you have a hernia. This most frequently occurs in the abdomen, but may also happen in the groin, around the belly button, or in the upper thigh. A hernia isn’t usually immediately life-threatening, but they don’t heal on their own, and serious complications can sometimes arise if a hernia is left untreated. What types of hernias are there? Though there are four main types of hernias, inguinal hernias comprise about 70% of the cases, and of these, more are suffered by men. Just after birth, a male’s testicles descend through the inguinal canal, which normally closes up completely after they pass. In some cases, a gap or weak spot remains, the site of a hernia down the road, when a section of intestine pushes through. Hiatal hernias occur when a part of your stomach passes through your diaphragm. Normally, the diaphragm is the boundary between chest and abdomen. Hiatal hernias frequently cause gastroesophageal reflux. Umbilical hernias affect babies, when their intestines press through the abdominal wall near their belly button. This is the only type of hernia that resolves itself, usually by the child’s first birthday. Incisional hernias happen around points of weakness created by open abdominal surgery. Intestines may push through scars, resulting from tissue that was cut to access your torso for surgical access. Since spontaneous healing doesn’t occur with adult hernias, surgery is the only permanent option. Some hernia conditions are treatable using laparoscopic and robotically assisted laparoscopic surgical techniques, specialties of our surgeons. Minimally invasive techniques require much shorter recovery times, which can stretch up to six weeks for open surgery techniques. We accept a number of different insurance plans. If you have any questions about coverage, please feel free to call our office. We are happy to help!